Routine preventative maintenance is essential for most machinery, and air conditioners are no exception. Many homeowners skip preventative maintenance, then wonder why their system breaks down. Here are some of the reasons to consider routine preventive maintenance for your air conditioner. 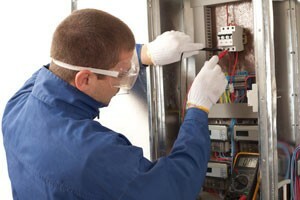 Is It Time to Update the Electrical Wiring in Your Fresno Home? Many homes in the Fresno area are old enough that the electrical wiring either can’t meet modern demands or it’s in poor condition and no longer safe. Upgrading the wiring solves both problems. Posted in Service & Maintenance | Comments Off on Is It Time to Update the Electrical Wiring in Your Fresno Home?